Stowe Area Real Estate 1st Quarter Report - Get Your Copy! We are excited to announce the release of the 1st Quarter Stowe Area Real Estate Market Report brought to by the Smith Macdonald Real Estate Group! 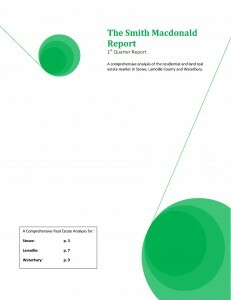 This particular report takes a look at what the Stowe area market did during the 1st Quarter 2011 compared to 1st Quarter 2010. We remain optimistic about 2011 and are encouraged by the increase in sales volume. We want to share this report with you at NO CHARGE! Simply click here to request a free copy of the report!